Tara Varney: Project Pride updates: new cast, and TedX! 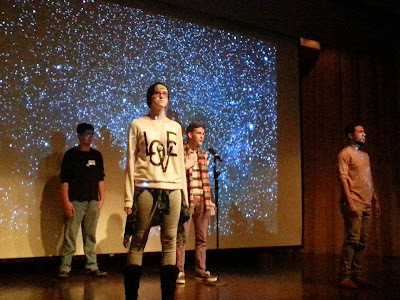 In March, I spoke briefly about Project Pride, the new LGTBQIA/straight-allied teen theatre troupe started by Coterie Education Director, Amanda Kibler. She, Zac Parker, and I are co-directors. It was an amazing experience to be able to give these young people a safe space to be who they are and say what they want to say. So... twenty. Twenty young people, mostly strangers to each other, came together on Monday for our first rehearsal of the new season. The focus, at this early stage, is mostly to get comfortable with each other as an ensemble. It's absolutely crucial that everyone feel safe and supported. So we spent some time creating a "community contract" that everyone could suggest guidelines for, everyone voted on, and everyone signed. In crayon. Because colors! I'm so happy to have the chance to get to know these young people. And I so happy that they have families who are, at the very least, okay with them being part of this. And some parents are beside themselves with pride and encouragement. One mom told me that her daughter said that by the end of rehearsal, "it felt like family." Another parent said to me, "This is the first time in a LONG time I've heard her talk about having lots of friends, and feeling comfortable and safe." Those are the very best words to hear. 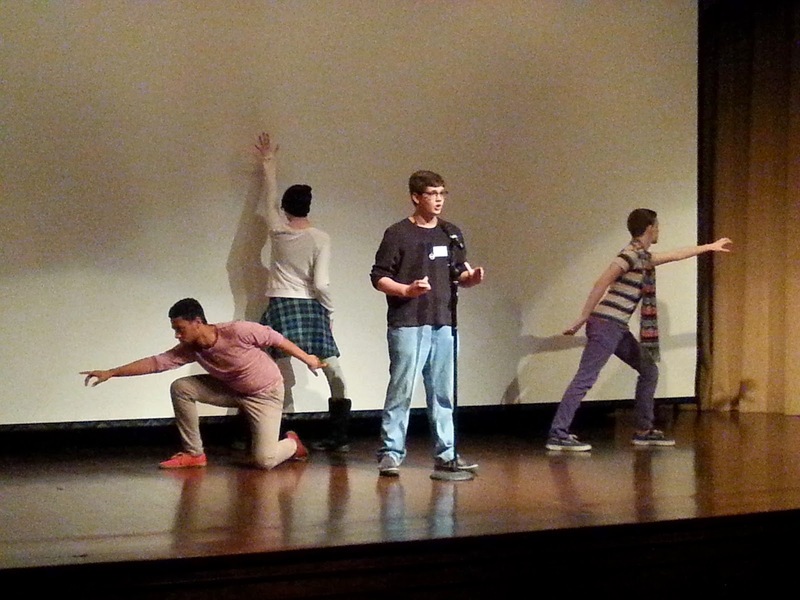 Our second-year cast members, though, are gearing up for a new performance piece on Saturday. We've been invited to perform at TedXYouth, here in Kansas City. The theme for the conference is "Beyond Truth," and the cast has been working hard to figure out what they meant to them, and how they wanted to express it. We had tech rehearsal last night. We are so very, very excited.